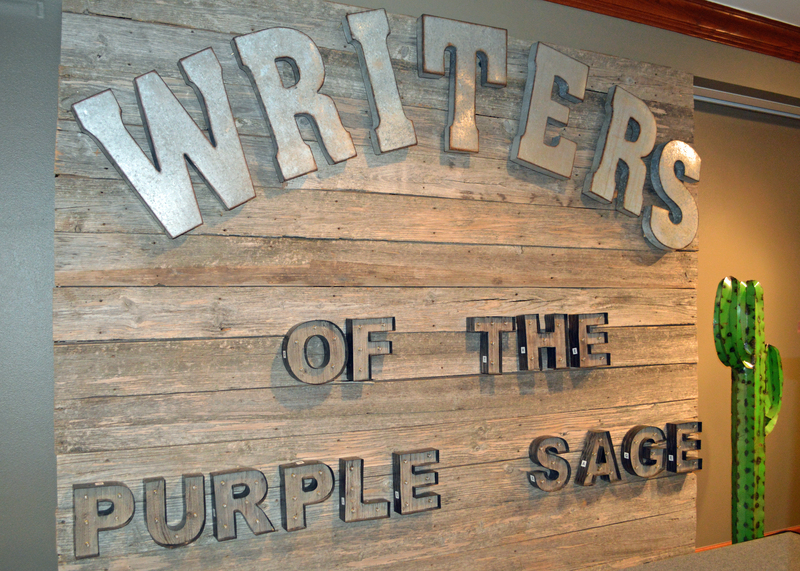 During the Western Writers of America convention, I had the opportunity to attend this year’s induction into the Western Writers Hall of Fame. After the 2015 ceremony, the Hall of Fame, which is housed at the Buffalo Bill Center of the West in Cody, Wyoming, has 91 members. 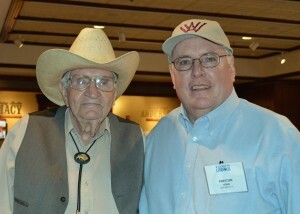 Due to my association with WWA for the past third of a century, I can claim to have met or known 38 of the inductees. Two of those inductees – the late Elmer Kelton and Jeanne Williams of Portal, Arizona –were important in my writing career. West Texas native Kelton, who is considered the greatest western writer of all time, was especially supportive of my early writing efforts and encouraged me to join WWA to begin with. His advice to me and every other writer he ever consulted was “don’t quit your day job.” It was advice he followed, working for years as editor of Livestock Weekly and writing westerns in the evenings and on weekends. I would consider Williams as my writing mentor. She read a carbon mind you of my first historical novel, which was subsequently published as The Lady and Doc Holliday, and encouraged me to continue my writing. She said she had met a lot of writers over the years and had decided it wasn’t talent as much as persistence that led to getting published. After reading the faint carbon, she said she thought I had the talent and it was just a question of whether or not I had the persistence. She even told the kids she thought I would win multiple Spur Awards before I was done. She hosted my family on two occasions at her home in Cave Creek Canyon, where she had the most beautiful writing room I have ever seen. Her writing desk faced a picture window where she could look down the canyon and enjoy the humming birds and the changing seasons. Both Kelton and Williams even provided cover blurbs for me when The Lady was published. The oldest inductee to attend the induction ceremony was Max Evans, 91, of Albuquerque, N.M. 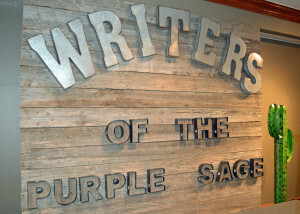 He began his career as a cowboy and turned to writing at age 35. His book, The Rounders, was made into a 1960 film starring Glenn Ford and Henry Fonda. One of the great thrills of my writing career was getting a call one day at work from Evans, saying he was in Lubbock and he would like to meet me, if I had the time. I certainly did! Since then, I have gotten to know him and his wife, Pat, who is as good a story teller as Ol’ Max, as he is affectionately known. One of the benefits of being a writer is that you get to meet other authors, whose support and encouragement help you through the tough times.